Singer-songwriters are often a rare breed nowadays. Either the artist writes the songs but doesn’t sing them (giving the song to someone else), or they do write songs and sing them, but they are of a lesser quality, because frankly, many of the popular artists currently aren’t really great songwriters, full stop. But herein lies the real reason for the necessary breed of the singer-songwriter. Think of aritsts like Steven Curtis Chapman, Jason Gray, Josh Wilson, Bebo Norman, Nichole Nordeman and Andrew Peterson, all great musicians and artists, but primarily, what makes their craft so unique and awe-inspiring are their great songwriting ability. As they are great songwriters, their natural talent for creation of melodies that touch our hearts and souls, will naturally follow out and bleed into how they sing and perform these songs, hence, if they are good songwriters, chances are, they’ll hopefully be good singers also. Here comes in another singer-songwriter, and a definite new-artist standout amongst the year of 2018- Cochren & Co. (helmed by Michael Cochren). Signed to Gotee Records, home to other artists like Aaron Cole, Hollyn, Finding Favour and Ryan Stevenson, this record label that once housed artists like Relient K, Capital Kings, Jamie Grace and Morgan Harper Nichols, to name a few; Michael Cochren, the lead singer of Cochren and Co., displays his vocal chops as this new artist on quite possibly the most underrated CCM label, has unveiled to us two songs, ‘Church’ and ‘Grave’, both of which are very radio friendly, and both having the possibility of being on either disc on WOW Hits 2020 next year! 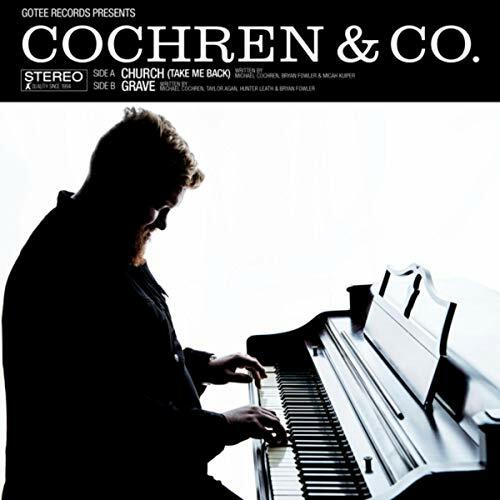 Released at the beginning of November, Cochren and Co. unveiled both ‘Church’ and ‘Grave’, the former about the longing to get back to basics, and be reminded that church is a safe place to be in times of difficulty, and the latter a moment of thankfulness, acknowledging the fact that if there wasn’t the grave, if Jesus didn’t submit to the grave like He did in the Bible, then our lives would be far from where we are right now. We won’t be saved, we wouldn’t live free and understand that it is in Christ’s sacrifice that we are made whole in Him- no, none of that if there wasn’t any grave in the picture. And while the song ‘Take Me Back (Church)’ sounds like a track that similar-sounding artist Micah Tyler would sing on a new album of his, here Cochren and Co. delivers the track near-flawlessly, as the message of coming home to our roots in a spiritual sense, is unveiled to listeners in a less-intrusive way (in reference to other songs that have had the theme of church embodied within it, in a way that could often seem over-the-top! ‘Church’ invites us all to get back to the things of our youth that remind us of unconditional love and acceptance, and often, a church should provide such love. Many times they don’t, and that in and of itself is another discussion entirely, yet still, on the whole, the church should be seen as a place of refuge and solace. ‘Church’ gives us motivation and comfort that there will always be a place where people will see us for how God does, and that we can let down our guard, and just be. ‘Grave’ also continues to motivate and inspire, as Cochren & Co. invite us to partake in the understanding that without the grave, life wouldn’t be as freeing or wouldn’t even be worth it, because Christ’s death on the cross (and subsequent resurrection) are the cornerstone of our Christian faith. The song can also be seen in a metaphorical light, as we’re reminded that if there aren’t ‘graves’ in our very own lives, we can’t truly appreciate the high moments whenever they do arise. There you have it…Cochren & Co.’s first ‘single’- a two song offering in ‘Grave’ and ‘Church’. Both songs have the potential of doing well on radio, and both songs offer us confronting messages that we all ought to take to heart in the upcoming weeks ahead. In a label that is sadly not as vibrant as it once was, Gotee Records are sure to be on the up, with the signing of Cochren & Co. Easily one of my favourite release surprises of the last few weeks; this is a must-have if you enjoy similar artists like Sidewalk Prophets, JJ Weeks Band, Micah Tyler or even New Zealander Stan Walker. Congrats to TobyMac for signing this new artist, hopefully the debut album will be just as exhilarating and impacting as these two songs!